Rice grains are supposed to be hard and unpalatable when uncooked, but now there's this new type of rice hybrid that's already soft after harvesting. All that needs to be done to be able to eat it is to add water. No, it's not freeze-dried. That's just the way the rice is. Scientists believe that since it does not need cooking, it will help a lot of poor people who cannot afford cooking fuel. It is also environment-friendly because it helps reduce the carbon-footprint of a person from all the cooking that he does in a lifetime. Pollution from combustion byproducts is reduced and trees are saved. But best of all, people will go less hungry. 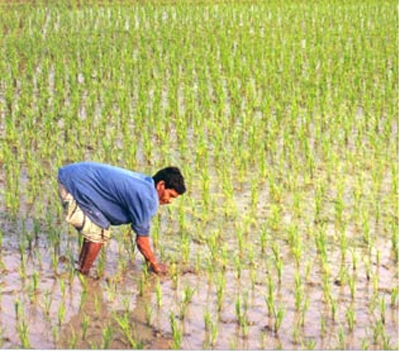 The rice looks like any other but the scientists at the Central Rice Research Institute (CRRI) in Cuttack, India say that's where the similarities end. If the special no-cook rice grains are soaked in water for about 45 minutes, they become soft enough to eat. There's no need to boil and the rice need only stay in the water for it to soak in the moisture. 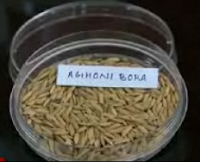 This type of strain called Aghani or Aghoni bora in India, falls under the "soft rice" or komal chawl category. It came from a low-yielding northern Indian variety and developed to become a high-yielding one. 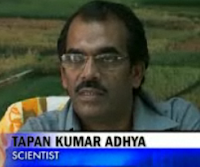 According to Tapan Kumar Adhya of the CRRI (left), the rice is currently in test cultivation and he says the results are positive. 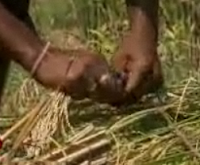 One farmer who has taken up cultivating the no-cook rice says his friends and relatives like it. Aghani bora rice is low in starch, which makes it ideal for weight-watchers. But of course, nothing really beats piping-hot rice. And if people still want to cook Aghani bora rice, then it's their option. They only need to cook it just a little bit though and it will be ready to eat! That equates to a lot of fuel saved. Because Aghani bora rice is so easy to prepare, it is ideal for calamity and disaster distribution. In countries like the Philippines hit by floods yearly, it is perfect as an emergency staple in areas where the use of fire or heat is not an option due to the water. Learn more on how you can save planet Earth. 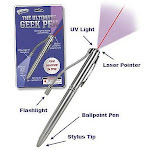 Make Cheap Visitors your partner in advertising. Learn more.